An everbearing alpine variety from Poland that can be planted from seed and harvested in the first year! Picture-perfect, shiny bright red fruits burst with flavor and sweetness. Perfect for containers, hanging baskets, strawberry jars, and do equally wonderfully in raised beds and hydroponic gardens. We recommend sowing directly in soil vs. starting indoors, but you can do either. Perennial. Photo courtesy of Baker Creek Heirloom Seed. Start indoors: 4-8 weeks prior to last frost. Barely cover lightly with soil and keep consistently moist. Do the seeds need to be chilled? If so what process? BEST ANSWER: Put your strawberry seed packet in a Ziplock bag or plastic container and keep it in your freezer for 3-4 weeks. At that time, bring the seeds to room temperature without removing them from the bag/container. This takes 3-4 hours. 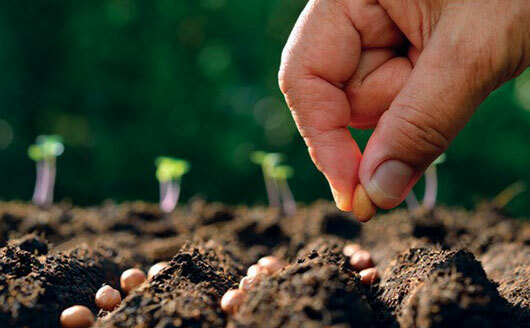 Then sow the seeds as you normally would.